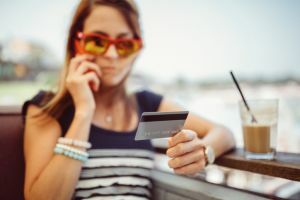 You probably know that your credit score can affect your applications to home loans, personal loans, car finance and other hefty money decisions, but did you know it can also affect your ability to get a phone plan? That’s right, many postpaid plans require some form of credit check in the sign-up process; more expensive phones and phone plans may be even more stringent. If you know you have a bad credit score and you’re looking for a new phone plan, here’s what you can do. What do phone providers look for in credit checks? Telcos will likely send your personal details to a credit checking agency to judge your suitability for the plan you want to sign up to. Basically, they want to know if you can afford the ongoing payments or not. Your current address and how many years you’ve been at it. Your occupation and the company you work for, and how long you’ve worked there. 100 points of ID: The last four numbers of your credit card may be used in a credit check. Your licence or other ID may also be needed. In all likelihood, you will also need to sign a Credit Check Authorisation form, which allows the sales representative of the telco to submit the credit check. However, this can all vary on a telco-to-telco basis, as well as what phone contract you are purchasing; if in doubt, enquire with your provider. What’s stopping me from getting a phone plan? Overdue accounts (separated into three categories including ‘Outstanding’, ‘Finalised’, and ‘Arrears up to date’). If these don’t make sense to you, ask yourself if all your bills have been paid, your home loan is in-check, you have no outstanding fines, such as speeding or parking violations and that you haven’t defaulted on any loans. Also make sure you don’t own a business that is in-debt to other companies – you haven’t declared bankruptcy and so on. Telcos look at your credit history up to the last 10 years, so if you were a blasé 20-something with some overdue parking fines or you defaulted on a loan, this could be the culprit. If it all checks out, it should be okay, but mistakes can cost you; the assessors mentioned above can also provide a free credit report up to once a year. So, if you’re rejected, it could pay to look at your report to see if anything is awry. Which telcos do credit checks? Other smaller carriers that offer contracted phone plans may also conduct credit checks. These may include Southern Phone, Woolworths Mobile, TeleChoice and Dodo. Arguably the most glaringly obvious way to circumvent credit checks is to choose a prepaid phone plan. What has historically been the ugly stepsister in the phone plan world, prepaid plans now offer big data allowances as well as unlimited standard national calls and texts. There’s also no need to ask for a $10 recharge at the supermarket anymore; you can auto-renew online. This way, your prepaid plan can operate similar to any other type. Prepaid plans avoid credit checks due to having to make payment before you receive your credit. In lieu of this, there are no excess charges as once your credit runs out, that’s it. You can manually top up, however. Below are some competitive prepaid providers that may be worthy of consideration if you’ve failed a credit check. Application info provided by you. Overdue payments past 60 days. Dishonoured cheques of $100 or dearer. Telstra is Australia’s largest telco and has some of the country’s dearest and most comprehensive iPhone and smartphone plans. Below are some postpaid 12-month plans to sink your teeth into, that may require credit checks. 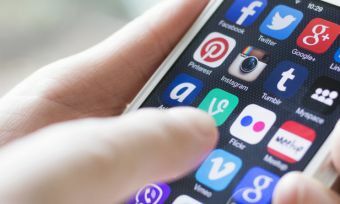 Though there is no publicly-available methodology, it can be assumed that the dearer the phone plan, the more stringent the credit checks will be. Below are some 12-month postpaid plans from Vodafone that may require a credit check. The exact methodology Optus uses and reasons for rejection aren’t easily obtainable. Nevertheless, it can be assumed that expensive phone plans may require a more stringent credit check. Below are some 12-month postpaid plans from Optus. Unfortunately, there’s no real way to know if you’ll be rejected for a phone plan until you actually apply for one. However, it doesn’t hurt to look at your own credit report; it’s often free if you look at it once a year. If you have been knocked back, it can be infuriating, especially if you know someone who seems unreliable with money able to get a phone plan no worries. 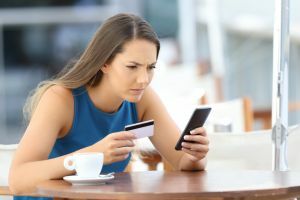 Luckily, credit reports can shine a light into why you’ve been rejected; unfortunately, you may have to go through the credit reporting agency and not the telco to get this information. A way to get a phone plan and avoid credit checks is to buy a prepaid plan. They often operate similarly to postpaid plans, and many include the same amount of value. If you’ve been knocked back for a phone plan, it can be disheartening but there’s no need to panic. There are options, such as a cheaper phone plan or a prepaid phone plan that can equip you with the latest deals. Fortunately, if you’ve had a brush with bad credit in the past, it won’t be hang around forever – 7-10 years is usually the maximum credit reporting agencies can assess.